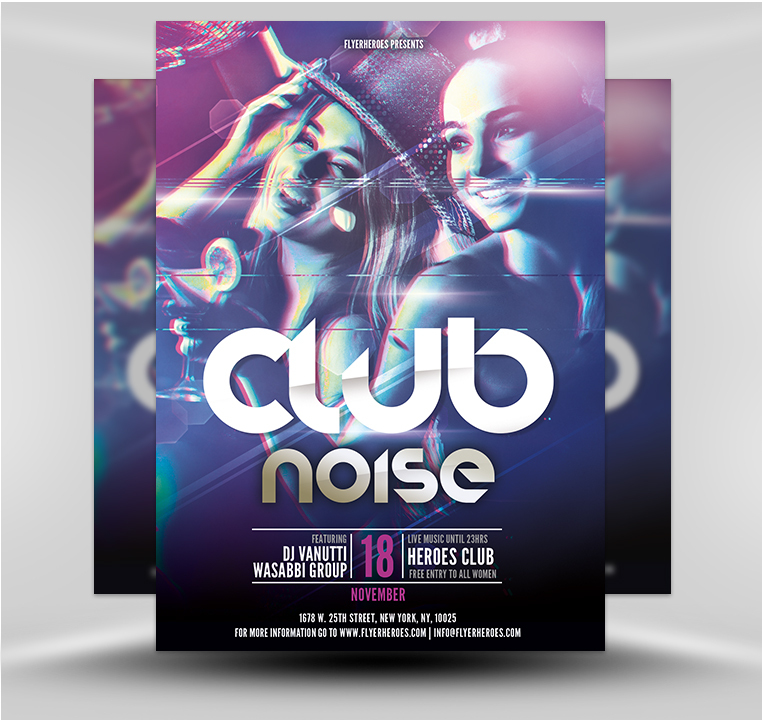 Use this edgy Night Club flyer to attract attention and pack your club every night. The colors, the design, and the formatting – done! All you have to do is customize, save, and distribute by print, face to face, or via the internet. Blow it up HUGE and post it all over town! 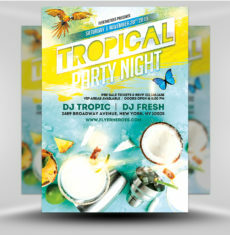 Use the flyer’s digital image to create a sophisticated postcard to hand out or mail via postal mail. You can even use it to create a promotional email message. Insert a flyer and free drink coupon into a midnight blue or purple envelope to mail out to past and current club patrons. 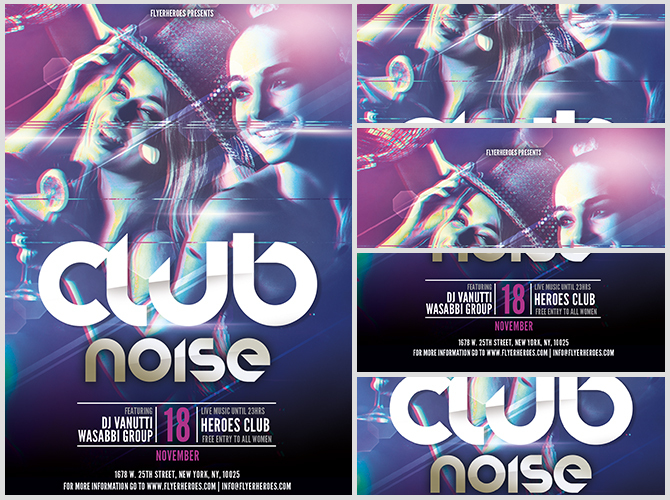 Place flyers on car windshields in areas around the club. Ask your bartenders and other staff members to distribute flyers to family members and friends. 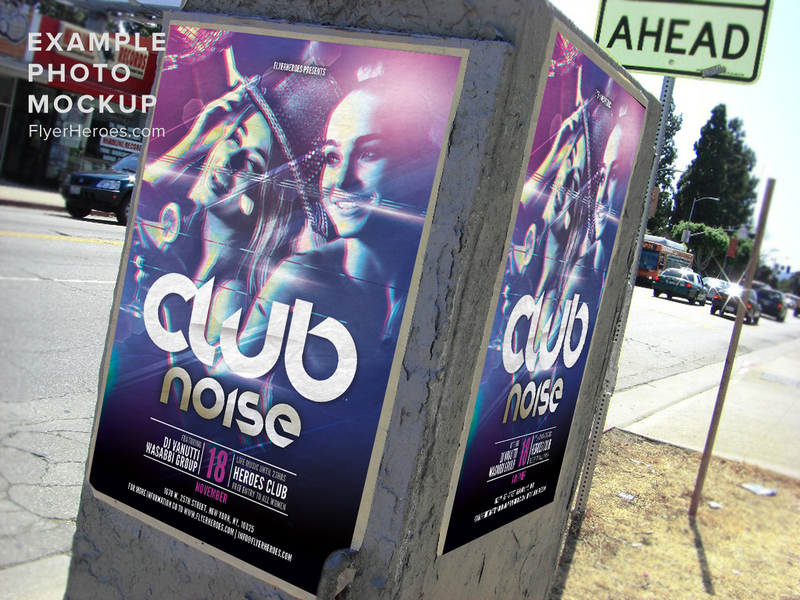 Leave stacks of your club flyers in local non-competing entertainment spots such as jazz clubs and pubs. 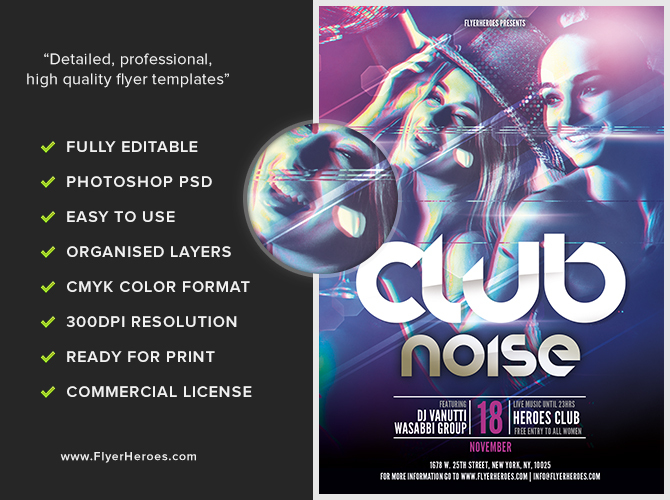 Insert digital versions of the flyer into social media posts and nightclub related blog posts. Create a special VIP newsletter mailing using the flyer as the main image. 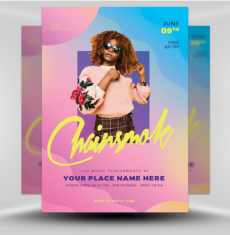 Place a paid Facebook ad targeting your ideal nightclub customer. Use the flyer to create a newspaper ad for placement in a local newspaper. Hire a hostess to hand out rum-flavored candies and flyers in front of your nightclub.